Only quality materials are used in the manufacturing of these Body Side Moldings to ensure maximum durability. 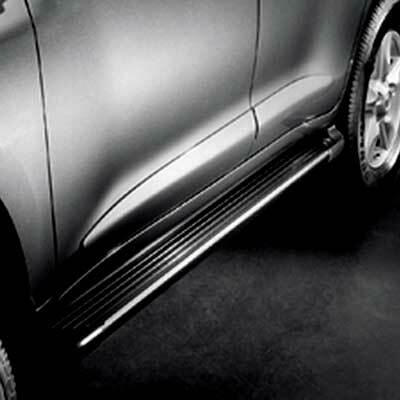 These Land Cruiser Body Side Moldings are the best way of ensuring maximum protection for your paint. Toyota Land Cruiser Body Side Moldings are easy to install, simply peel and stick and your ready for any parking lot assault. Get these factory Toyota Land Cruiser Body Side Moldings to meet the high standards of Toyota accessories.